Cid Style File: L'Oreal Paris Event: Diane Keaton Wears It Everyday, Do You? L'Oreal Paris Event: Diane Keaton Wears It Everyday, Do You? Did you know May is Melanoma Awareness Month! I had no idea, well I've known about Melanoma, cancer of the skin but didn't know there was a month dedicated to awareness. 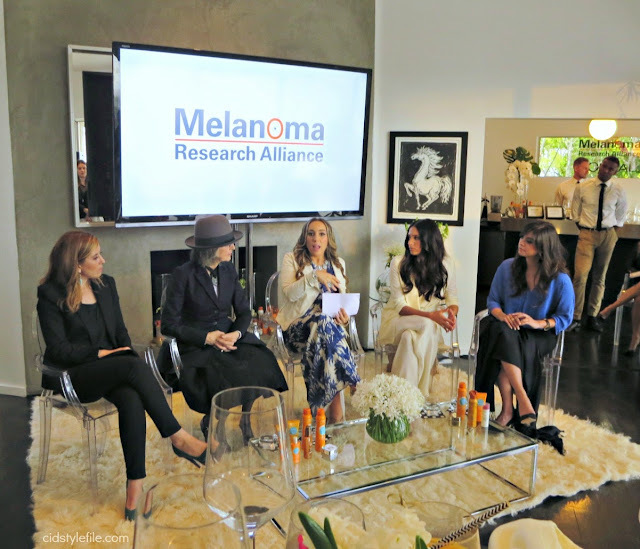 Earlier this month I was invited by L'Oreal Paris to an event in Beverly Hills about Melanoma Awareness and protecting your skin. A panel spoke about their own personal stories with skin cancer, prevention and awareness about this disease. 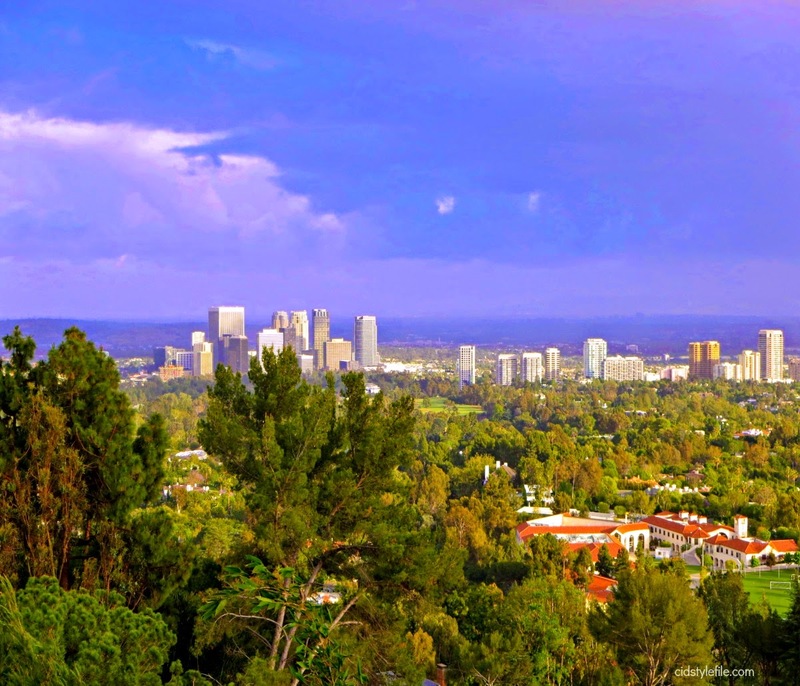 The gorgeous view of Los Angeles from the private residence in Beverly Hills where L'Oreal event was held. I learned some alarming facts about skin cancer. One of L'Oreal's spoke models is actress Diane Keaton who is a skin cancer survivor, she was at the event sharing her story and tips on protecting your skin. One way she protects her self is with her signature hats and always wearing sunscreen. 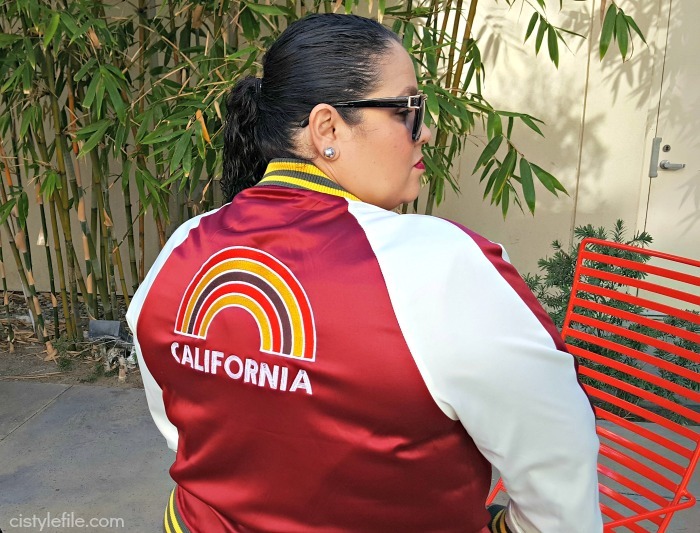 Diane was diagnosed with skin cancer at a very young age (21) and is now committed to spreading awareness. She has made wearing sunscreen protection part of her daily beauty routine and encourages all to do the same, regardless of our age. 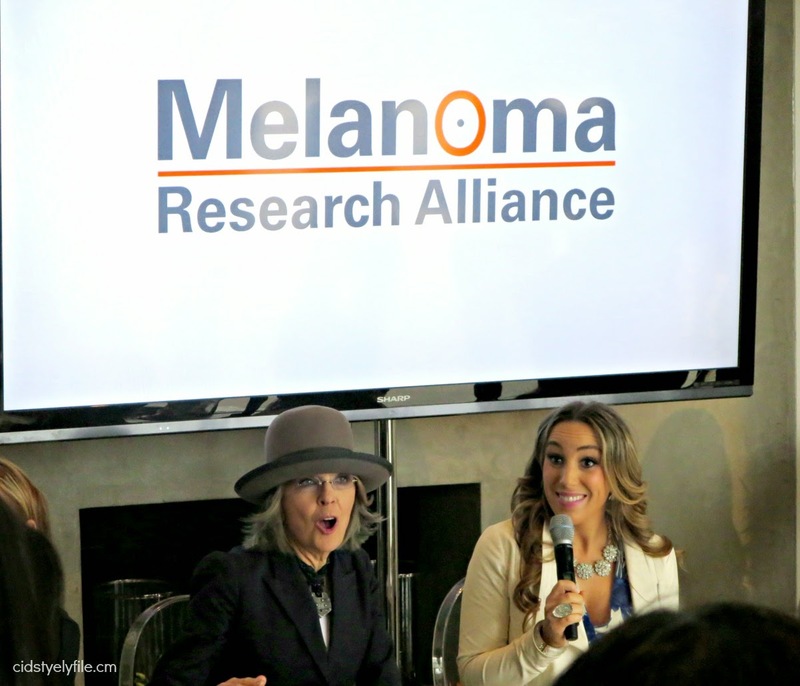 These ladies had such personal and inspiring stories about dealing with Melanoma and prevention of skin cancer. 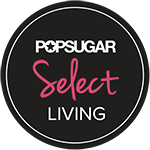 Indoor tanning has been shown to increase the risk of melanoma by up to 75%. Just one bad sunburn in childhood or adolescence doubles your child’s chances of developing melanoma later in life. These are some scary facts, by the Melanoma Research Alliance*, but with some easy tips and protection you can prevent skin cancer. L'Oreal has a great line of sunscreens and sun protection for your body and face. Diane swears by L'Oreal Paris Silky Sheer Sunscreen, wearing it everyday and even carries it in her pocket. She showed us during event and pop it out from her skirt pocket, since she hates to carry a handbag she always has pockets. Diane Keaton was so funny and charming, love her style and sense of humor. Very inspiring to hear her speak and meet her. L'Oreal and Melanoma Research Alliance have joined together in a campaign to raise awareness with the launch of It’s THAT Worth It To Me. This social media campaign encourages women to donate 15 social media seconds by sharing why SPF protection or using sunless tanner is worth it to protect their skin, their beauty and their life. For every social share, L’Oréal Paris will donate $1 to MRA to fund the L’Oréal Paris - MRA Team Science Award Research Grant, up to $250,000 in 2015. 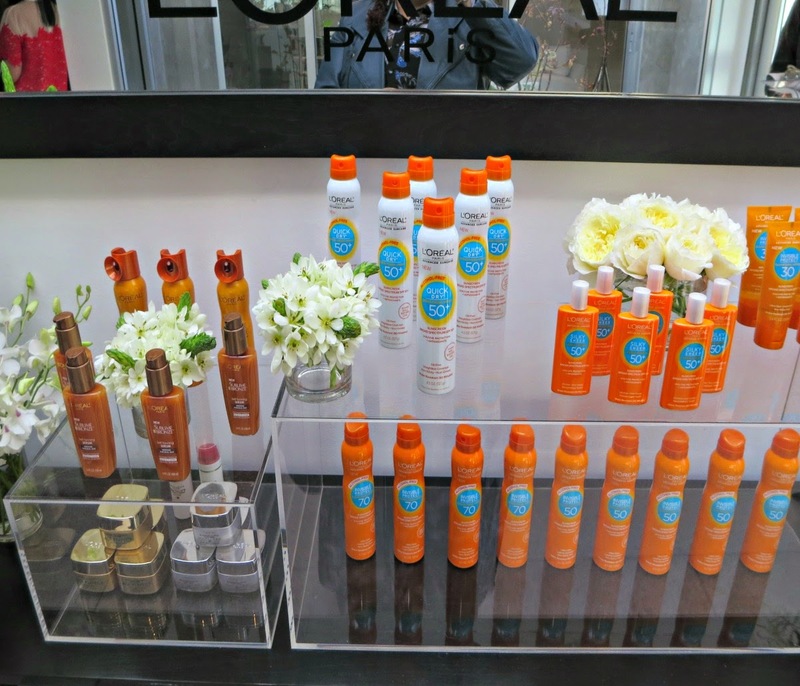 L'Oreal Paris has a variety of sun protection for the entire family, make sure to always be protected from the sun. Create a 15 second video or photo sharing with their social community why SPF protection or using sunless tanner is worth it. Here is mine on Instagram. Get your social media community involved to further spread the word by tagging three friends in your post. 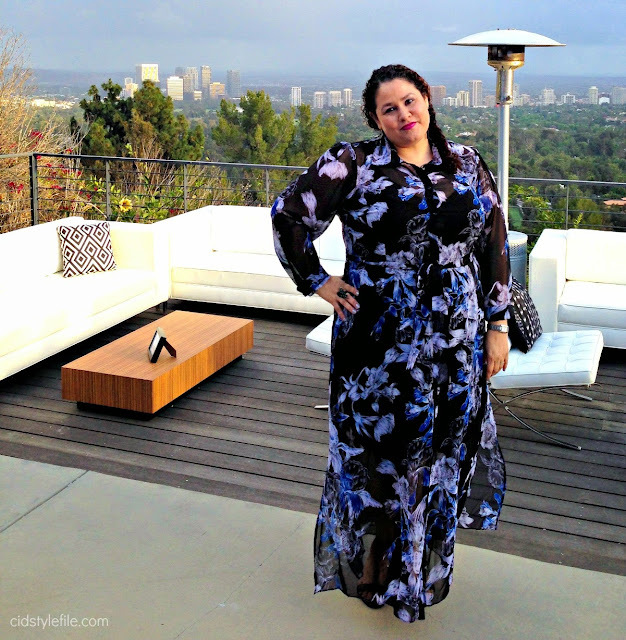 Here is what I wore to the L'Oreal event, a new dress from City Chic. Had to take advantage of the gorgeous view behind me. How often do you get to have this background! Hope you're well protected and covered from the sun this summer. Don't forget to wear sunscreen and/or sunblock every day. Even on cloudy and rainy days we need protection. Now go make those 15 seconds on social media count, and help research for Melanoma, use hashtag #ItsThatWorthIt. Thank you to L'Oreal Paris for inviting me to this fabulous and informative event. All thoughts and opinions expressed are my own. It's something we sometimes take for granted, especially in the summertime. But it's so important to take care of our skin, suncare is definitely a must addition to all our beauty routine's. I Love Diane Keaton! Great post doll! 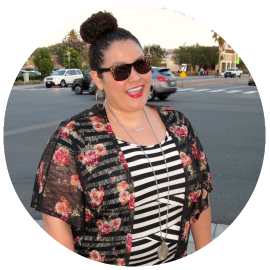 I loved this blog very much. I am always conscious about my skin because it is very sensitive. Loreal products are really great and works better on every skin type. I have read a guest post related to beauty tips in cheap custom essays blog. If you want you can go through with them. buy research papers here and improve your grades is College. This is really stisky topic. Melanoma probably one of the most common cancers in women.